The fishing this week has been excellent with good bags being reported most days on Wednesday Mr Stodard and boat partner from Hereford took a bag limit apiece from the carters bay area on amber hoppers and wet daddies with the best fish at 3lb 3oz. The mouth of the Llwyd has continued to produce fish as has the bigga and cages area. Best methods have been dry flies such as hoppers, daddies and cdc patterns. 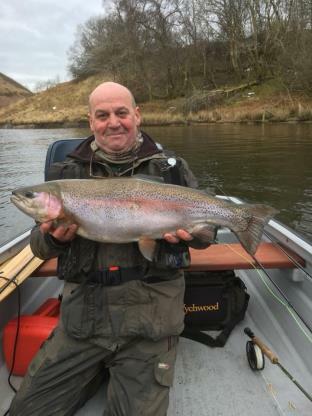 Bank fishing has been best in the evening when the fish come closer in to the shores, areas have been Bigga arm, Gronwen field and rainbow corner.